Horse insurance is one of the features in Red Dead Redemption 2 Online. It’s a new thing, one that wasn’t present in the singleplayer portion of the game. It’s pretty expensive, so a lot of players are wondering how it works and if it’s worth it. If you’re one of them, you’ll be glad to know this guide will tell you everything you need to know about RDR2 Online horse insurance. Is RDR2 Online horse insurance worth it? You can buy horse insurance at any stable, just by going to the services submenu. However, it costs five gold bars. Considering how hard it is to get gold at this point, that’s pretty pricey. 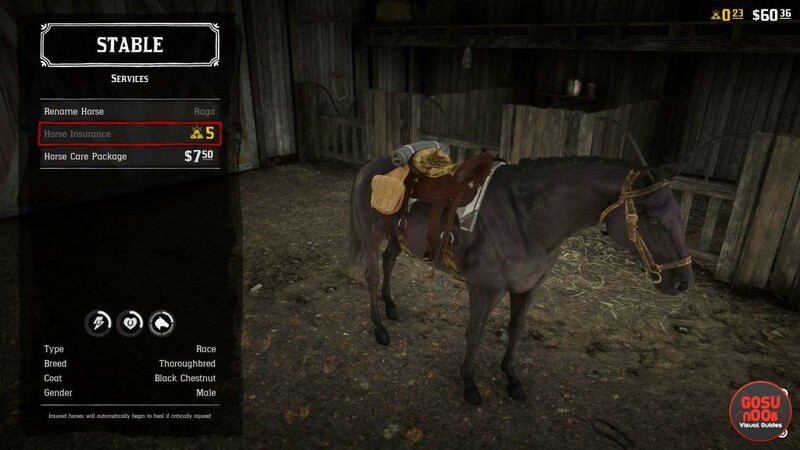 A lot of players are starting to get paranoid, thinking they’ll lose their ultimate edition horse when it gets killed if they don’t shell out the money for the insurance. This is not the case. When your horse dies, you’ll have to pay a paltry amount to revive it from the stables menu, then wait a couple of minutes until it’s ready to go out again. If you whistle for a horse in the meantime, you’ll get a temporary replacement. Once your old horse is ready to run, simply get off the replacement, press L2/LT and choose the flee option. Once it’s out of sight, calling a horse will bring your previously injured mount back. All that insurance does is heal your horse automatically once it gets injured. This will make it die less often, obviously, but it’s definitely not crucial. Depending on how much trouble you get into, it might be worth it. However, you will never lose a horse just because you haven’t spent gold on insurance. You might have a tougher time and spend more money on horse medicine, but there’s no risk of losing your mount.